You want to travel this year, but with so many destinations to choose from, it can be nearly impossible to decide where to go. Whether this is your first overseas trip or your tenth, Vietnam should be at the top of your list this year. Its dramatic landscapes, captivating history, delectable cuisine, and never ending energy draw in visitors from all corners of the globe. Now that you have your destination checked off the list, you must decide what sort of tour you wish to book. If you love exotic foods with flavors so bold that they are out of this world, it might be a great idea to book a culinary tour. 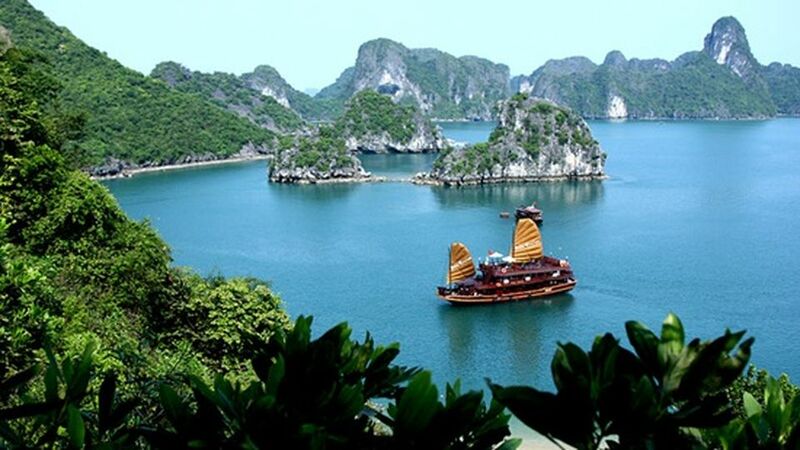 Perhaps you have a deep respect for Vietnamese culture and want to delve into its rich past. Cultural tours take you through the most famous areas in Vietnam and allow you to get hands-on experience of the many wonders the country’s history has to offer. Culinary Tours : From high-class restaurants with 5-star cuisine to small vendor stands on the corner of the street, Vietnam is home to more delicious food than you could eat. There are so many delicious dishes that you could eat something different every day for a month and still have a wide variety options left over. To ensure that you get to taste the very best that this country has to offer, it is a great idea to book a culinary tour. At any hour of the day, you will witness residents and tourists commingling under market awnings or near storefronts, enjoying a bowl of pho or bun ca. Vietnam is famous for its simple dishes packed with vegetables, noodles, and savory meats. Your culinary tour will take you to some of the most beautiful views and food stops in the country. Cycling Tours : Vietnam tour packages are perfect in that they focus on the key points all visitors must see while in the country. If you love a good workout and want to gain better access to the gorgeous Vietnamese landscapes, a cycling tour is the perfect vacation choice. Traveling by bicycle allows you access far more than with a car, and specialized tours allow you to see all of the key views and historical locations available. On a bicycle, you can roll across the calm, quiet countryside at your own pace. As you travel through fields thick with green grasses and wildflowers and jungle paths thick with vegetation, you will find a unique type of inner peace. The Ho Chi Minh Trail, which was famously used to carry supplies during the Vietnamese war, is lined with historically significant views. Your cycling tour will be sure to include this as a location to visit. Visit Over and Over : Vietnam is a country with a tumultuous and complex past stretching back thousands of years. To understand everything about this beautiful country, you must visit more than once. With that said, take a different tour each time. It is guaranteed that each time you visit, you will explore a new area, learn something you never knew, and enjoy a brand new adventure. The only way to begin that adventure is to book your first visit now.